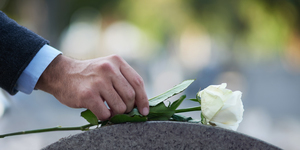 Planning a Funeral is an involved process. The number of details which need your attention may seem overwhelming, but we are here to help! Contact the church office and we will assist you with your plans and other special arrangements you request and answer your questions about the service. We appreciate the opportunity to work with you and ensure peace of mind for you and your loved ones. Whether you are contemplating your future or you are a decision maker for someone else, we can assist with some of life’s most difficult decisions. If we can be of further assistance, please call the GVUMC office at 702-454-7989.